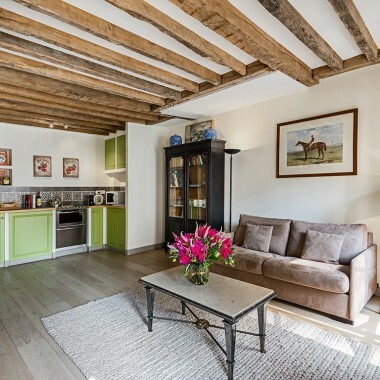 This luxurious four bedroom apartment to rent in Paris sits in a prestigious location in the heart of the left bank, on the boulevard Saint Germain. Stroll along the boulevard and experience culture and art, upscale boutiques, restaurants and famous cafés, such as the Café de Flore and Les Deux Magots. 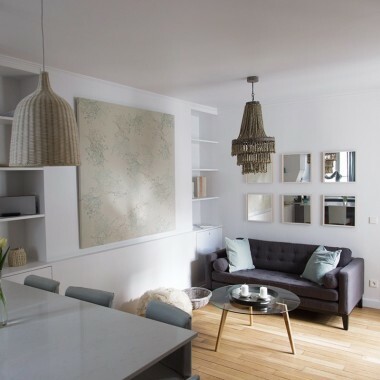 The apartment (240m2) is on the first floor of a period building, with lift access. Spacious and elegant, period features include high ceilings, panelled walls, parquet floors and beautiful furnishings. The entrance hall leads to a large bright living room, which communicates with an immense dining room, and the fully equipped kitchen. From the living room, you can also access the library. To the left of the entrance, you will find a shower room, accessible from the first bedroom and from an office room arranged as a relaxation area, but can also be made up as a guest double bedroom. There is also a children’s twin bedroom, and the master suite with its en-suite bathroom. A third bathroom and WC are accessible from the corridor. Amenities include central heating, stereo, TV and Wi-Fi internet. 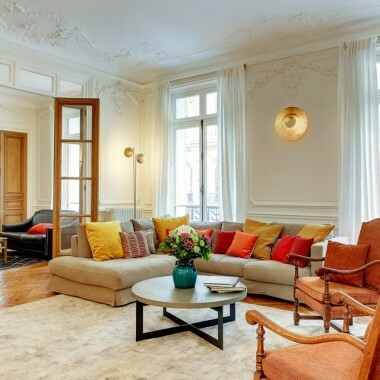 This luxurious four bedroom apartment to rent in Paris, in a prestigious location in the heart of the left bank, on the boulevard Saint Germain. 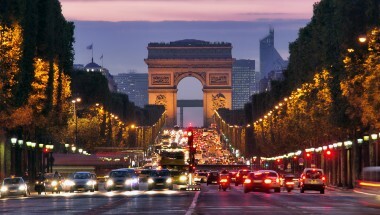 Stroll up Rue du Bac, or along the boulevard and experience culture and art, upscale boutiques, restaurants and cafés. All extra services on request (eg. airport transfers, maid service, etc). Higher rates apply for stays shorter than a week.